DAKAR (Reuters) - When Fatou Kine's failed attempt to reach Europe left her jobless and penniless in Algeria, she turned to an agency she had heard helped migrants return home. The United Nation's International Organization for Migration, or IOM, did that and more. 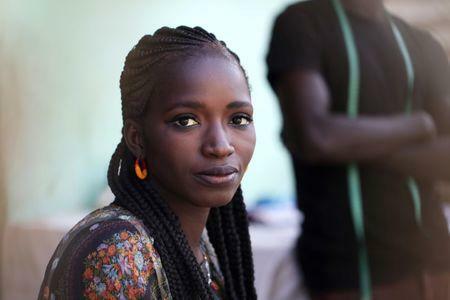 It flew her back to Senegal in January last year and gave her more than $1,000 to start a tailoring business in the seaside capital Dakar. But one year on, Kine is struggling. After paying the rent for a 25-square metre storefront, she takes home about 16,000 CFA ($29) in a good month – not much more than she did as a hospital cleaner before she left for Algeria. The IOM and the European Union are ramping up efforts to return African migrants home, after thousands have died making the perilous sea crossing to Europe and governments in some countries push for tougher rules to stem the numbers arriving. The migrants are often returning from places like Algeria and Libya, where many get stuck en route to Europe, as well as from Europe itself. Efforts have accelerated over the past six months following revelations of migrant slave markets in Libya. But interviews with migrants like Kine reveal the shortfalls of repatriation even for those lucky enough to receive a grant to start a business. 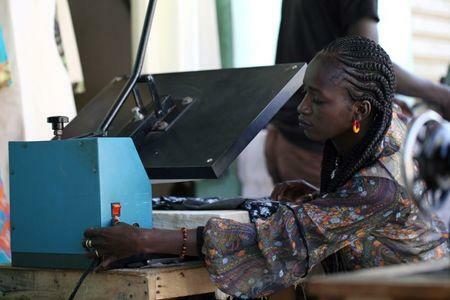 In countries like Senegal, where local economic activity can be slow, many struggle to survive. 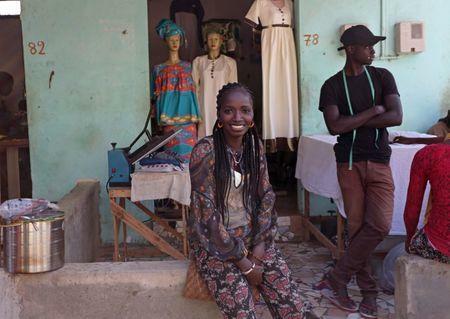 At her shop in a busy Dakar suburb last month, surrounded by three sewing machines and two mannequins sporting the colourful boubous (robes) she makes there, Kine said she wants to try again to get to Europe because of the difficulty in making ends meet. "With my two children, I can't make it," the 26-year-old said. The IOM acknowledges that migrants face similar challenges on their return to those that prompted them to leave their home country in the first place, and that often they try to leave again. In such cases, the migration agency "seeks to ensure migrants receive accurate information about the migration journey and potential risks," said IOM spokeswoman Florence Kim. The organisation produces pamphlets translated into several languages informing would-be migrants of what they might be getting themselves into. In late 2016, the EU and the IOM launched their biggest repatriation project yet: a 174 million euro ($203 million) fund to help bring back migrants and jump-start their lives in a way that would remove the need to head for Europe. It was launched amid pressure from European member states worried about immigration levels and a growing death toll of Africans trying to cross the Mediterranean in overcrowded boats. The IOM recorded 171,635 arrivals by boat from Africa in 2017, which does not include the likely thousands of others that tried and failed. The new programme has so far returned more than 25,000 people to 14 African countries. Of those, 2,700 received money to set up a business or community project. Other migrants have returned during that time with the help of funds from pre-existing projects, including Kine, but the IOM did not have a total number. IOM spokeswoman Kim said it was too early to judge how well its latest programme was working, but acknowledged that repatriation alone was not enough and that the returnees must be able to survive financially. But experts have expressed concerns about the long term effectiveness of the strategy, especially as the African workforce grows in the coming decades, increasing demographic pressures. "These projects are very important and much needed. But ... we don't really know what happens to these people," said Camille Le Coz, an analyst at the Migration Policy Institute in Brussels who has looked at the new initiative. She said that not enough research is done to make sure a migrant's business is viable. One individual who is struggling despite receiving $2,400 from an Italian aid agency to set up a hardware store in Senegal is Khadim Faye. He had been in Italy for some 15 years, picking fruit and sending what money he did not spend back home, when his papers expired and he was forced on to the street. The grant in early 2017, which was separate from the IOM programme but funded by the EU, went towards buying materials and renting a premises in Touba, back in Senegal. He has struggled to compete with local competitors ever since. Aged 43, with three young children and a sick mother, Faye is considering shutting the shop and returning to his family village to farm peanuts. "It's not working," said Faye in his small hardware store in Touba, a remote, dusty town 200 km (124 miles) inland from Dakar. "Today you sell, but tomorrow you won't sell anything." The IOM said it kept track of migrants' progress by taking phone numbers of people who returned with its assistance. It said it often took months for migrants to truly feel like they were home again. An EU spokeswoman said the approach "enables migrants to return in a safe, dignified and voluntary way." But she added that sending migrants home is tough and that people often want to return to Europe. "The context is a difficult one. There is no silver bullet, and there is no quick fix," she said. Many who are returned home find themselves falling through the cracks, bewildered after a long time away. Others said they heard rumours about possible aid, but did not know how to reach out. The IOM flew Khadim Diaw, 43, back from Munich, Germany, in 2017. He said he was desperate to work there legally, but was unable to gain asylum. The IOM gave him 400 euros on arrival and another 400 euros six months after returning home. Despite the help he said he struggles in the same way he did before leaving for Europe in 2010. The money he makes from his small poultry farm in the town of Pikine goes towards paying debts. Unable to afford his own house, he lives with his sister. He said that he was unaware there were business grants available and would have applied if he'd known. "Seven years in Europe and you return to your country without anything - it's difficult." The IOM spokeswoman said the agency recently increased efforts to inform migrants of opportunities available to them on their return. She added that under the joint initiative with the EU it wanted to try and focus not just on individual projects, but on ones that helped whole communities. This approach has shown some success. After being repatriated to Senegal from Libya in late 2016, Matar Khoudea Ndiaye joined a poultry farm with a group of other migrants last year. For his team of five, the IOM paid for 2,000 chicks, feed, a freezer and three months' rent. In three months, Ndiaye made 3 million CFA francs ($5,205). With that money he started an online business selling clothes, music and accessories. The 27-year-old has built his own chicken coop in his home town Linguere with 1,500 chicks. He works for the IOM, persuading others not to leave for Europe. "I have friends in Italy and they say on Whatsapp that they have no money, they sleep on the street," said Ndiaye, sitting on a mattress in his sparse bedroom on the outskirts of Dakar. "If they had known they were going to live like that, they say they wouldn't have wasted the time."